Click the admin tab at the top right, hover over "configuration" then click "General Settings"
It will bring you to this screen. Scroll all the way down. 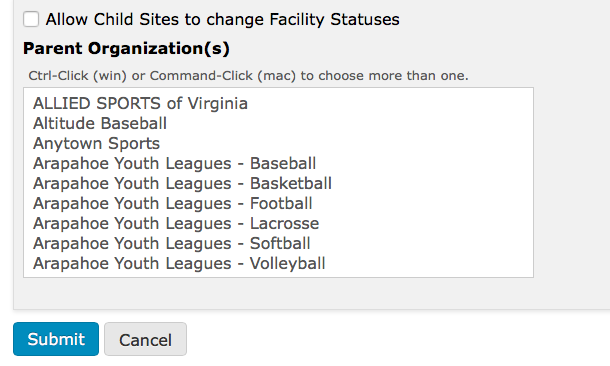 Select the Plymouth Sports Complex and Submit. You will now need to go into each team and connect that team to the PSC Site.